Being in one’s early to mid-thirties can be the most challenging period for anybody career-wise. One will probably be supervising a team of employees already; but at the same time one will also still have several management layers to contend with above. In many ways, this stage is a crossroads for those still trying to figure out what they wish to do with the rest of their lives. This is the stage where Julius Warren Villegas, one-time CPA board topnotcher, is still in. In a way, his life has been a story of crossroads. His story is a little different from those I had previously featured in the MyStudents series. The others had been about older former students who are either ‘there’ or close to getting ‘there.’ For Julius, the grind continues; and more crossroads may yet be even along the way. 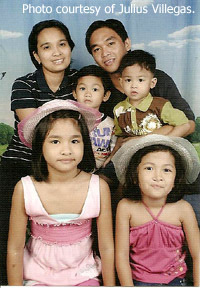 Julius is the middle of five sons of Amado and Julieta Villegas of Tanauan City. His four brothers are Roderick, Amado, Jayson and Dexter. He was in my History class in schoolyear 1994-1995. I remember him as a teenage boy with something of a serious disposition – but serious as in respectful and responsible. He was delightful to have as a student. After high school, Julius enrolled in DLSU’s Accountancy program. He is candid enough to say that the program was not his first choice. This was the first major crossroads. 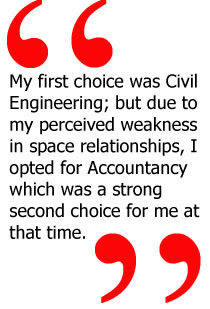 The choice of Accountancy, however, was made with the most noble of intentions: to help his parents. “I was inspired to take up BSA so I could help my parents to bail out their waning business during the nineties,” he says with all candour. It also helped that he has always been comfortable with numbers. I remember pointing out Julius’ achievement to my former boss, the late Brother Rafael Donato. At the time, I was head of Marketing; and I remember telling the late Brother how we could have used Julius’ Top 10 result for our own campaigns had he gone to us instead. And Julius would have come if we had a strong program by the time he graduated from high school. “Had there been a competitive Accountancy program at that time, there’s a strong likelihood that I would have opted for DLSL considering my parents’ tight finances,” he says. That Julius subsequently chose SGV & Company as his first job was hardly surprising. After all, the auditing firm to this day is the first stop for many fresh new CPA’s because of the excellent training that they know they will receive. Julius considers SGV & Company the biggest and most successful auditing firm in the country. He stayed for less than a year, however. His next stop was at MetroBank, which was the biggest universal bank in the country in the late nineties. Julius was hired to be part of the Internal Auditing staff and participated in the financial and operations audits of the bank’s financial and insurance subsidiaries. Going into auditing jobs was a conscious and deliberate choice made by Julius. “I chose auditing jobs during the early stages of my career because I thought my very good rating in Auditing during the CPA Board was an indicator of where I should go,” he explains. By 2000, Julius was prepared to step up a gear and joined Petron Corporation, the country’s biggest oil company and among the perennial top revenue earners. 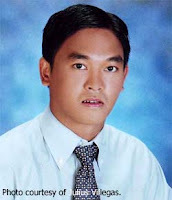 He was initially hired as a Financial Analyst Trainee but subsequently became one of the company’s Financial Analysts. 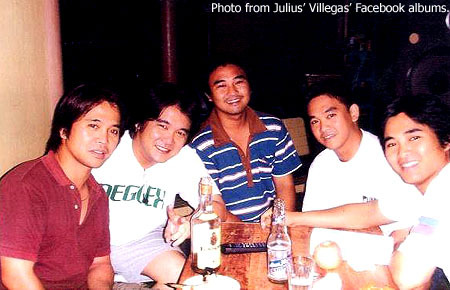 In 2003, however, another of life’s crossroads appeared and Julius decided to leave the corporation to go into partnership with college friends to set up a trucking and trading business. This kept him busy until 2007. Hindsight, they do say, is always 20/20. Julius would later rejoin Petron and says that he regrets having left the company in the first place. Before doing so, he had two more relatively short-term jobs, the second of the sort that one reads about in fiction novels.